Students will be able to identify numbers 1-100 by writing the number that is called and placing those numbers in the correct order. 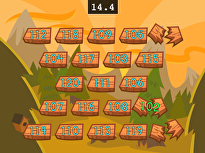 Inform your students that they will work with the numbers one to 100. Explain to them that they will write the number that is called out to them so that they can identify the numerals that make up a number. Activate prior knowledge by inviting students to share examples of numbers that they have seen at home or school, like the numbers on a clock or sports jerseys. List ideas on the board. Invite students to share with a partner using the sentence frame, "I have seen the number ________On ________." 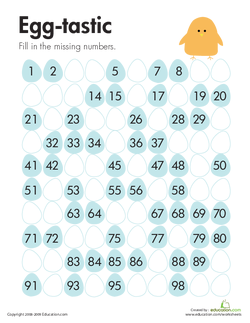 Tell your students that you are thinking of a number that is in the 50s and ends with a 4. Ask your students to guess the number. Continue this a few times, writing the numbers on the board. Teach students that "in the 50s" means that it could be any number between 50 and 60. Call on students to suggest numbers in the 50s. List student suggestions on the board. Teach students that "begins with" means that it comes first, or to the far left, of the number. "Ends with" means that it comes last, or to the far right, of the number. Write other examples of numbers that end with 4 on the board. Prompt students to use the complete sentence, "I think that the number is ________Because ________" to explain their thinking. Allow students to use personal whiteboards and show you their guesses as a whole-class check for understanding. Pass out the Numbers to 100 worksheet. Explain to the students that they will write the number that is called out to them. 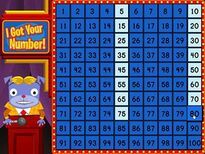 Write the numbers one through 10 on the board. Have your students put their fingers in box 1 on their worksheets. Call out a number and repeat it twice. Instruct your students to write the number they hear. Write the answer on the board, say the number again, and point to each numeral as you say it. Continue with boxes 2 through 10. After number 10, have different students write the answers to 2 through 10 on the board. Remind the students to say the numbers as they write them. 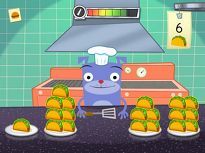 Go over each answer so the students can check and correct their answers. Include numbers students may mishear, such as 15 and 50. Remember to clearly enunciate the "n" in "fifteen" and the "ee" in "fifty" so that students hear the difference. 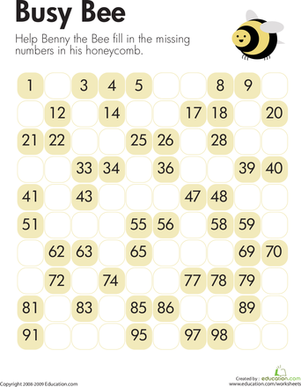 Show students the number 15 and have them repeat, "ten and five." Show the number 50 and repeat, "5 tens." As you call volunteers to write the answers for 2 to 10 on the board, display the sentence frame, "I heard the number ________." Point out that Heard, not Heared, is the past tense form of the verb hear. Tell students to repeat after the student who writes the number on the board using the sentence frame. Pass out the popcorn number cards and make sure they are not in order. 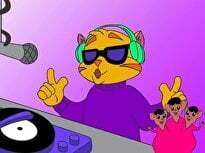 Depending on the number of students in the class, give your students four to five cards each. Start with the number one. 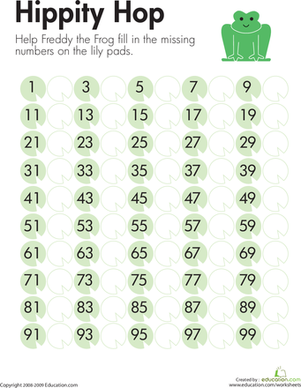 Have your students read the numbers on their cards to determine which number comes next in order. Remind the students that they must pay attention and be ready with the next number to place in line. Continue until all the numbers have been placed correctly in line to 100. Tell students to turn and talk to a partner about which numbers they have using the sentence frame, "I have the number ________." Make sure students know the names for all their numbers before starting the activity. Review the prepositions Before, After, and BetweenBefore starting the activity. Ask questions such as, "Which number comes after four?" and have them show you the correct number of fingers to check understanding. Enrichment:Have extra popcorn cards on hand and instruct your students to write numbers beyond 100. Support:Instead of going to 100, work on putting the numbers in order by groups of 10. For example, have your students put 1-10 in order, then 20-29, and then stop at 40-49. When the students have mastered these numbers, continue in the same manner with 50-59 and so on to 100. During guided practise, observe each student to see how well he is writing the number that is called out. If your students wait to write the answer, then work with these students with flashcards numbered to 100. If they have mastered this concept, then move them on to recognizing tens and ones place value. 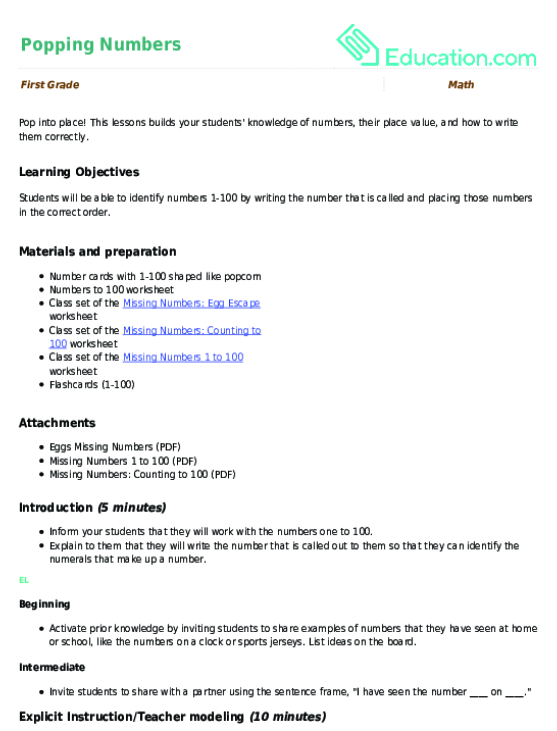 Give your students a Missing Numbers worksheet to take home. Allow students to play with a student who speaks the same home language (L1) with one student saying a number and the other student writing the number. Put students in small group of four. 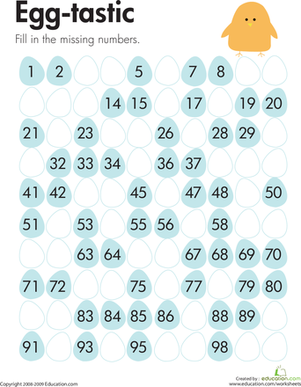 Tell students to take turns "being the teacher" by calling out a number. Other students in the group can race to write the number on personal whiteboards. Ask the students what was easy and difficult about listening, writing numbers, or putting them in order. Notice any numbers that students do not write correctly. Review these numbers and the steps for writing them with the whole class. 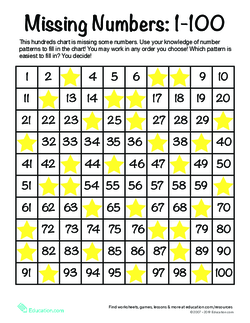 Ask students to explain how patterns on the hundreds chart can help them fill in the numbers on the Missing Numbers worksheet. 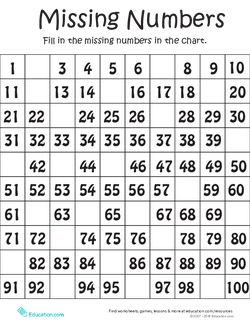 Kids practise the count sequence and writing numbers with this fill-in-the-blank counting worksheet.